AN M. Tech student was among the two Hizbul Mujahideen (HM) militants killed in a gunfight with the security forces in Jammu & Kashmir’s Shopian district on Saturday, police said. Rahil Rashid Sheikh, who belonged to Nuner village in Ganderbal district, was pursuing Masters in Technology and had joined militant ranks only three days back on April 3. “The other militant killed in the gun battle has been identified as Bilal Ahmad of Keegam village from Shopian district,” police said. 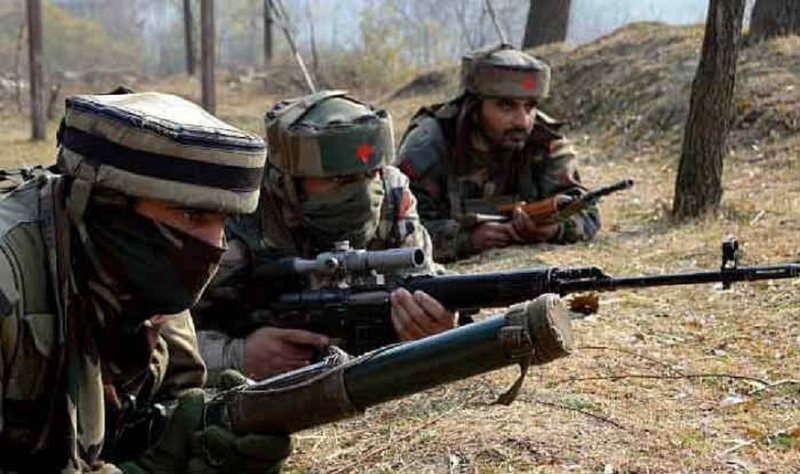 The gunfight took place in Parguchi village when personnel of the Army’s counter-insurgency Rashtriya Rifles and special operations group (SOG) of State police were carrying out a search operation in an orchard area in Imam Sahib. “Hiding militants fired at the security forces triggering a brief gun battle in which both militants were killed,” police said. THE NIA on Saturday arrested an operative of Pakistan-based terror group Jaish-e-Mohammed in connection with the 2017 terror attack on a CRPF camp in South Kashmir, officials here said. Syed Hilal Andrabi, 35, of Jammu and Kashmir’s Pulwama district, was produced before a court which sent him to five days’ police custody, they said. He was arrested from Jammu by the National Investigation Agency (NIA) in connection with the attack on the CRPF camp at Lethpora in South Kashmir on December 30 night in 2017, in which five personnel were killed. Three Jaish-e-Mohammed terrorists were killed during the 36-hour-long gunfight. The UN-proscribed JeM had sent two suicide attackers to the camp, including the 16-year-old son of a policeman who had joined the outfit a few months before the attack. An active over ground worker of the JeM, Andrabi is a key conspirator who provided logistic support in the form of sheltering the terrorists and conducting reconnaissance of the CRPF group centre before the attack, the NIA said. With his arrest, the total number of accused arrested in the case has risen to four, it said.Andrabi’s arrest came days after Nisar Ahmed Tantray, whose brother Noor Trali is believed to have helped revive the JeM in Jammu and Kashmir, was arrested by the NIA after being deported from the UAE. Earlier last month, the NIA arrested Fayaz Ahmed Magray from Pulwama for allegedly being the “key conspirator” of the 2017 attack and accused him of providing logistical support such as shelter to the militants and conducting reconnaissance of the CRPF Group Centre, Lethpora before the attack. AN Army soldier was killed by militants on Saturday when he was at his home in Jammu & Kashmir’s Sopore town, police said. Muhammad Rafiq Yatoo, of the Territorial Army, was shot and critically injured at his home in Warpora locality of Sopore and taken to hospital in a critical condition where he succumbed to his injuries, a police officer said. Yatoo was on leave from his unit, the officer said. Police and paramilitary officers reached the spot immediately after the firing incident.